Astronomers used the Subaru Telescope to observe a disk around the young star RY Tau, finding that a “fluffy” layer above the disk appears to be a remnant of material from an earlier phase of stellar and disk development. 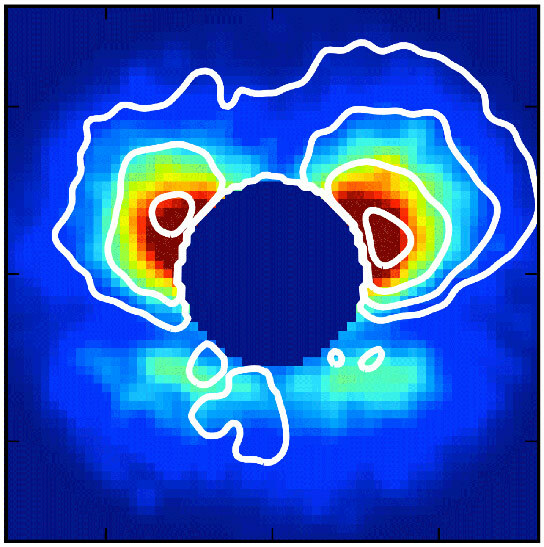 An international team of astronomers that are members of the Strategic Exploration of Exoplanets and Disks with Subaru Telescope (SEEDS) Project has used Subaru Telescope’s High Contrast Instrument for the Subaru Next Generation Adaptive Optics (HiCIAO) to observe a disk around the young star RY Tau (Tauri). The team’s analysis of the disk shows that a “fluffy” layer above it is responsible for the scattered light observed in the infrared image. Detailed comparisons with computer simulations of scattered light from the disk reveal that this layer appears to be a remnant of material from an earlier phase of stellar and disk development, when dust and gas were falling onto the disk. Since 2009, the five-year SEEDS Project (Note) has focused on direct imaging of exoplanets, i.e., planets orbiting stars outside of our Solar System, and disks around a targeted total of 500 stars. Planet formation, an exciting and active area for astronomical research, has long fascinated many scientists. Disks of dust and gas that rotate around young stars are of particular interest, because astronomers think that these are the sites where planets form–in these so-called “protoplanetary disks.” Since young stars and disks are born in molecular clouds, giant clouds of dust and gas, the role of dust becomes an important feature of understanding planet formation; it relates not only to the formation of rocky, Earth-like planets and the cores of giant Jupiter-like planets but also to that of moons, planetary rings, comets, and asteroids. 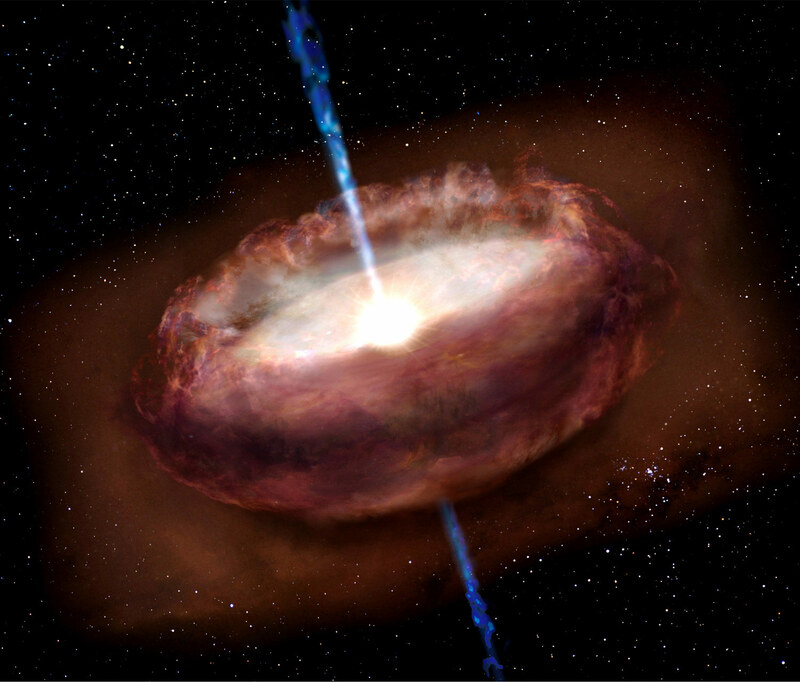 Astronomers have developed powerful instruments to obtain images of protoplanetary disks, and Subaru Telescope’s HiCIAO is one of them. HiCIAO uses a mask to block out the light of the central star, which may be a million times brighter than its disk. They can then observe light from the star that has been reflected from the surface of the disk. The scattered light will reveal the structure of the surface of the disk, which is very small in scale and difficult to observe, even with large telescopes. 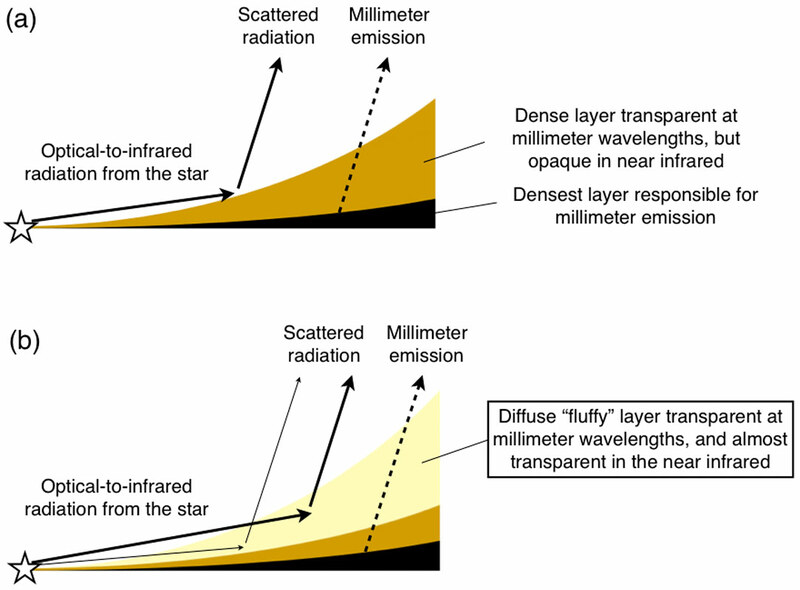 Observers use HiCIAO with a 188 element adaptive optics system to reduce the blurring effects of the Earthʼs atmosphere, making the images significantly sharper. Be the first to comment on "Astronomers Observe a Possible Planet-Forming Disk around the Young Star RY Tau"